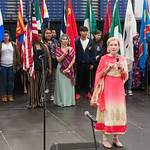 For over 39 years the University of Illinois Springfield family has celebrated its rich international and cultural diversity with the annual International Festival. 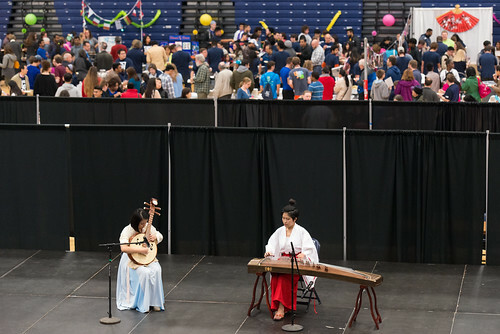 The festival features cultural performances, fun and games from around the globe, exhibits, and a variety of ethnic foods. 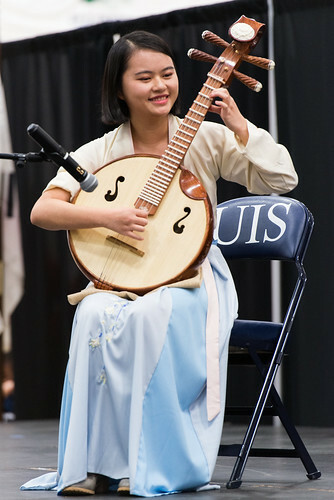 The International Festival is the longest running student-led event in the history of UIS. 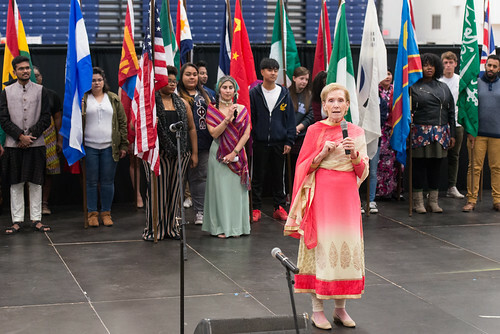 The event began in 1977 with Gerlinde Coates, who served as the University’s first Director of the Office of International Student Services. 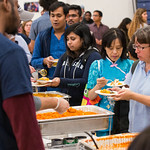 Friends from the greater Springfield community join UIS students, faculty, and staff to share a day of cultural games and exhibits, artistic performances, food tasting, and more, all with the international flavor that you have come to expect over the years. 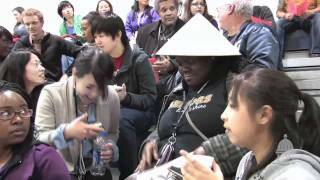 In order to make the festival accessible to all, there is no charge for admission. 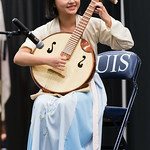 Erika Suzuki, program coordinator in International Student Services at UIS, is leading the Festival Planning Committee. 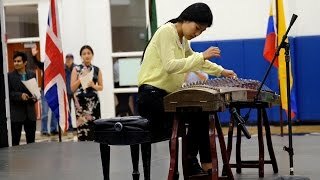 “With our increasingly interconnected world, developing a better understanding of different cultures has never been more important than it is today,” says Erika. 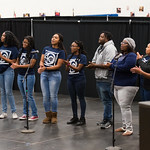 Colleen McMahon, last year’s president of the Gamma Phi Omega International Sorority at UIS, summarized the goals and sentiments of the represented student organizations. 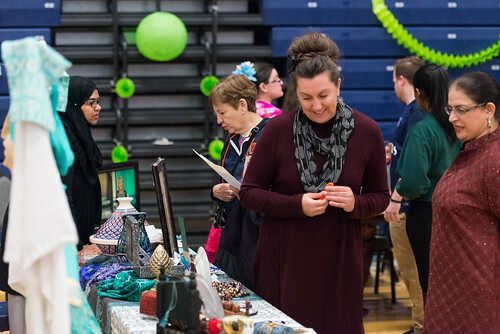 “We’re just [here] teaching people about … where the members in the sorority are from, and just really being exposed to all the other cultures and groups that are here,” McMahon said. 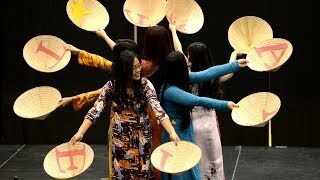 On our YouTube Channel, you’ll find video of different International Festival events and activities. 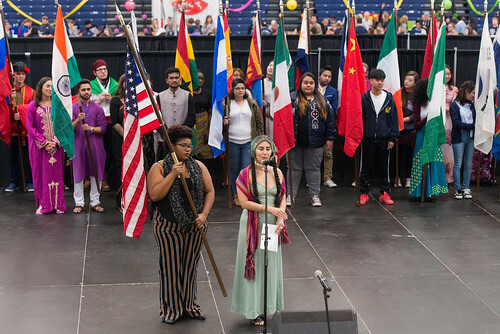 The festival gives international students a chance to share their cultures with fellow students and members of the Springfield community. 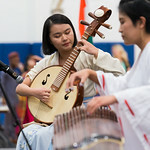 The festival has featured food and entertainment from several African nations, China, India, Ireland, Peru, Scotland and Middle Eastern countries. 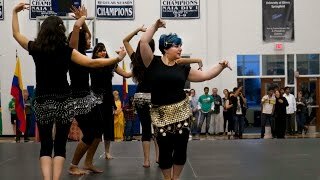 40th Annual Internation Festival in TRAC Friday, November 3, 2017. 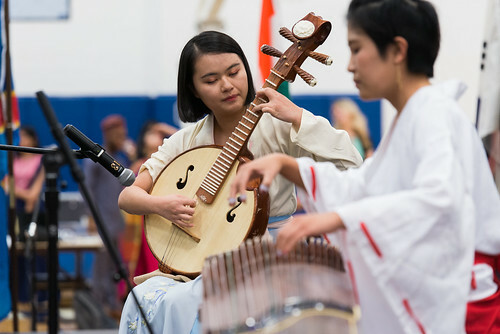 On our Flickr Collection you’ll find photos from different International Festivals, including many different events and activities. 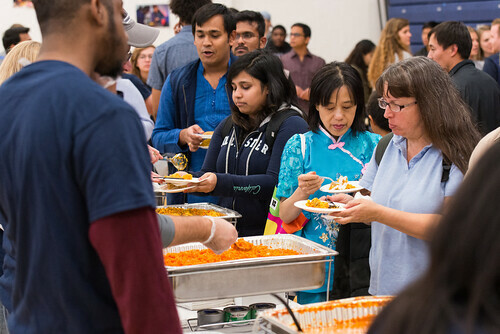 Each year, hundreds of campus and community members have met for an international meal, program and exhibits. 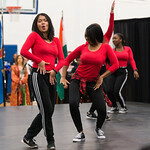 This year, UIS celebrated its 40th International Festival. 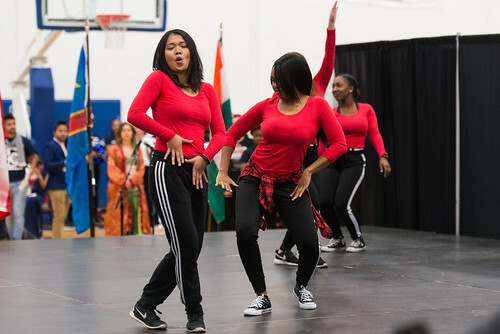 Held at The Recreation and Athletic Center, the Festival’s theme was “Anniversaries.” We hope you were able to attend and discover the rich history of the University’s International Festival. 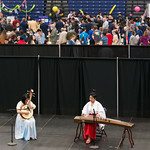 The event was made possible through the work of volunteers, who spent hours working as masters of ceremony, setting up the stage, greeting guests at the door, and cleaning up afterwards. 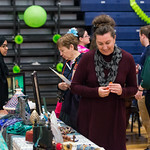 Guests were invited to pick up a program as they entered so they could find their way to the many exhibits, food tastings, and performances. 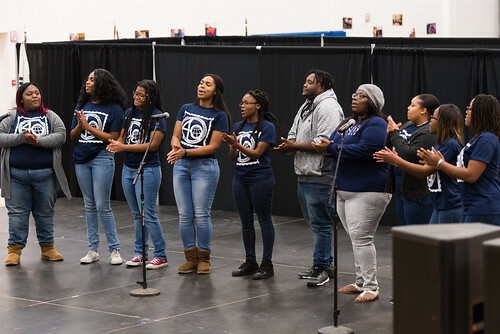 For more information, please contact the Office of International Student Services at (217) 206-6678 or e-mail iss@uis.edu.